No matter when this article will be actual – this will happen. There is no tourism in the central Iraq. For today. Because people are scared by events of last ten years, but this is not mean that people from other countries don’t come here (and when they come …..) – fist of all tourists come to Iraqi kurdistan, second, people come to Baghdad for conferences, cultural events, because of work in the international companies or embassies. 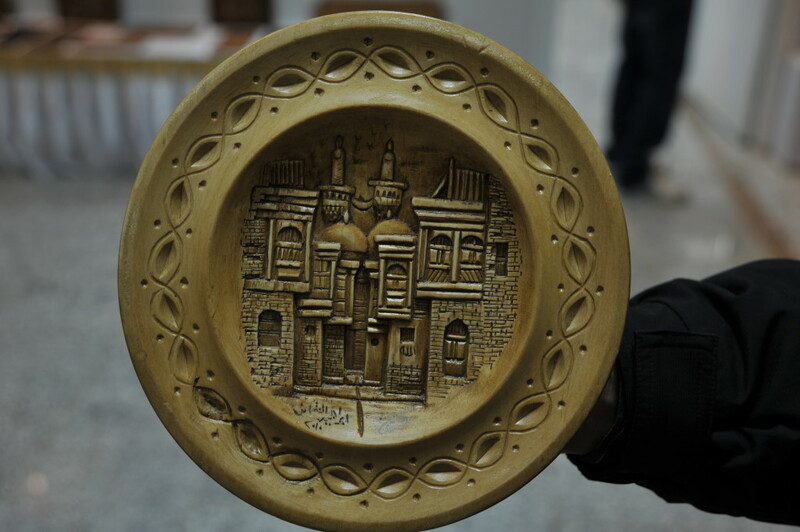 So, lets talk about travel souvenirs ideas that could orient you in Iraq. The tradition to incense the rooms is very good – nice smells make a positive atmosphere, it help to relax. Even if we can’t see the flavor the house that full of it looks purer and prettier. The incenses are sole as a powder, that looks like tea powder, as a powder made from herb and aroma granules. Sometime bukhur looks like small pieces of wood covered by aroma farina that should be burned on the coals. For burning powder the special lamp is used – mabhara. There is lamp that should be switched to electric point and iron plate, that become hot, burn powder incensing the room. 7-10 minute is enough, after that let the staffs in room absorb the smell. Also there is lamps that work without electric – you just put a hot coal on it and lie the powder above it. Very seldom aroma stickes (like Indian) are used, but anyway it easy to find beautiful rack for it. Mabhara could be very spruced, so its also could be used as a room decoration. By the way there is small ritual in Iraq – the housewife walk through the house with reeky lamp and says special pray – they believe that it repels the bad soul or angels from house. There is mass of shops in Baghdad and Erbil where you can find tablecloth and mantles, with print, fancywork by yarn and beads, and also you will find sets. There is worship of house in Iraq and if owner have money they don’t spare them buying room decoration. By the way Iraq has second place in the world after Iran in carpet making, so – the small Iraqi carpet is a very nice travel gift. 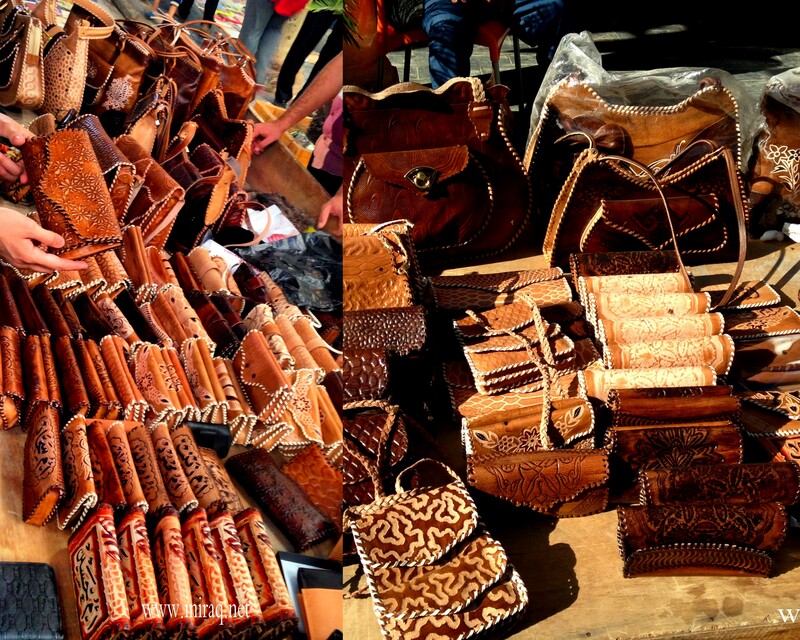 At Shordja bazaar the leather artisans work and make bags, purses and other things, also with lettering on it (for example you can order the bag with your or of somebody else name). 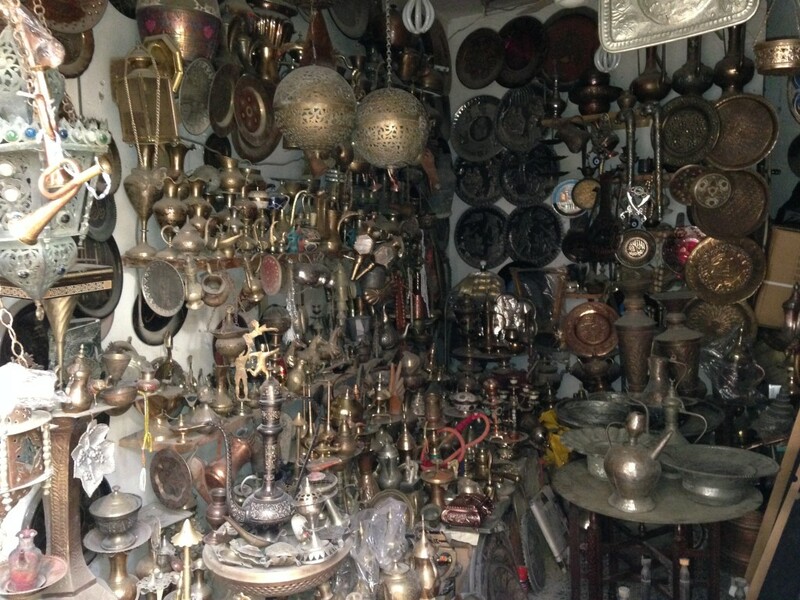 Also you can buy decorative oriental items as plates, jugs, kettle, ash-pots. 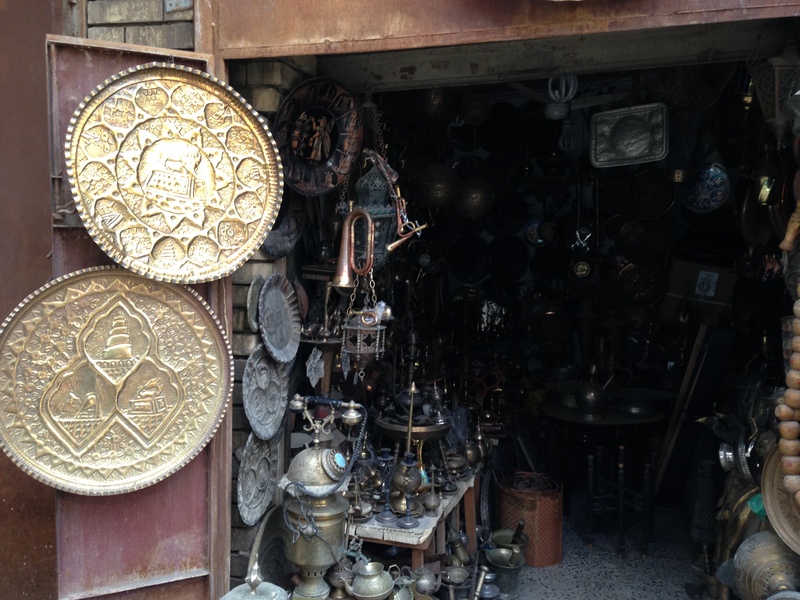 Also there is shops with antiques, where you can buy amazing things that full of past times spirit. 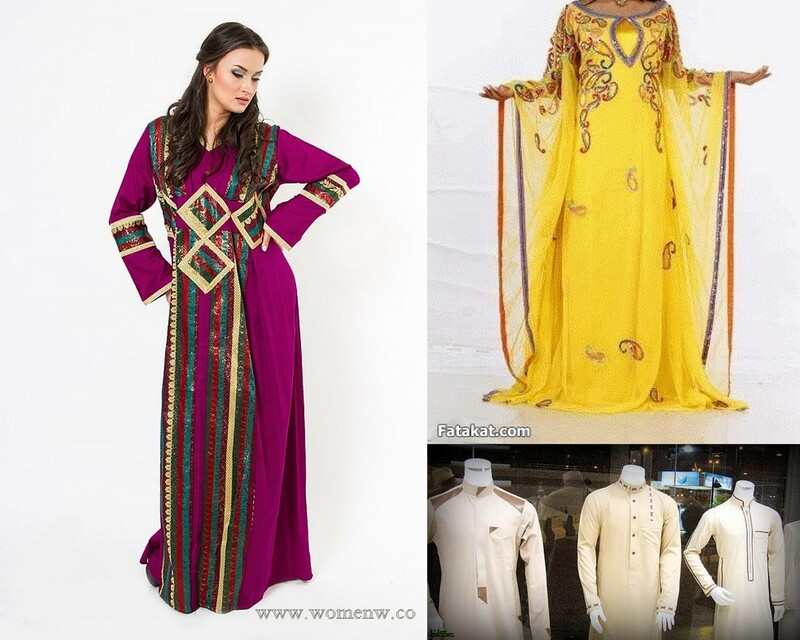 Dishdasha is a long shirt (or dress) to the floor with fancywork by yarn and beads or print. It is ont of the traditional clothes in central Iraq. 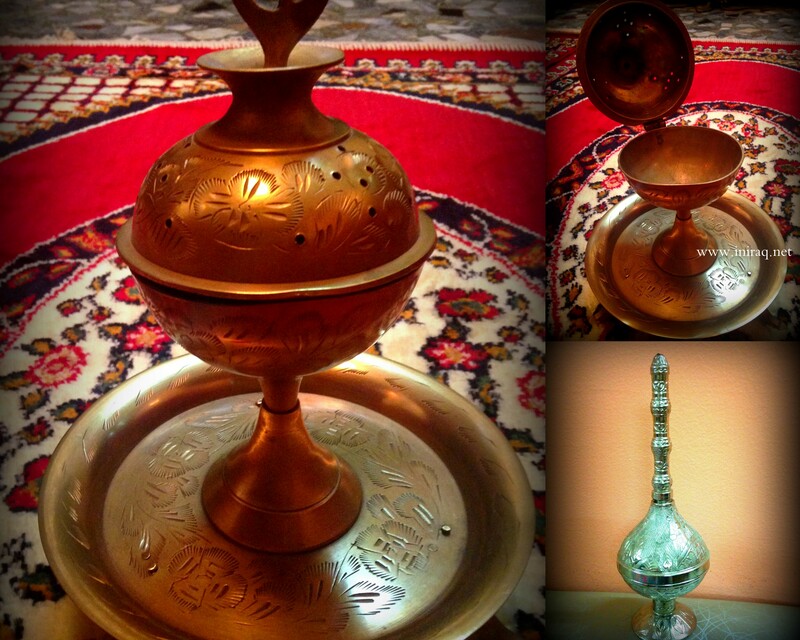 For men, who attracted by culture of middle east it could be good to present simple white or decorated dishadasha. You can find shops with oils on tap. Merchants for sure offer to take a sell for all kind of oil. The most popular is jasmine and rose oils. For clients they are bottled into small vials with roll for anointing oil on the body. 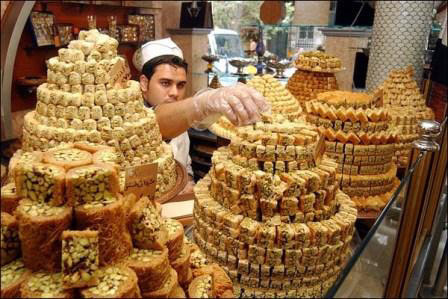 Sweet-stuff here is almost like in Turkey (and may be everywhere in Arabic countries), they are good-looking, exotic (for foreigners) and delicious. Also they have a long expiry term. Also you can look in shop with dried fruit and nuts and buy a fresh taste mix – cashews, almonds, hazelnuts, peeled pistachios, dried chickpeas and dried salted corn (by the way most of nuts are exported from Turkmenistan, Uzbekistan and may be some other countries of Central Asia). 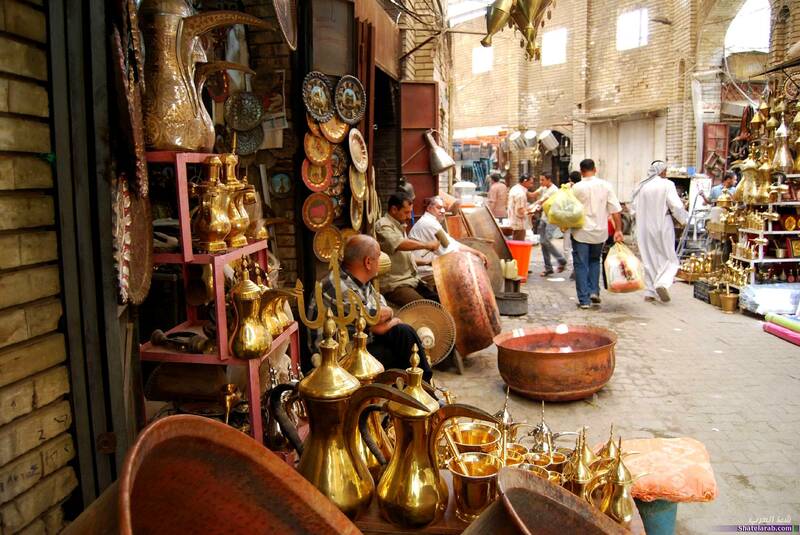 And, buying travel souvenirs, remember that Iraq is a homeland of the best date fruit. 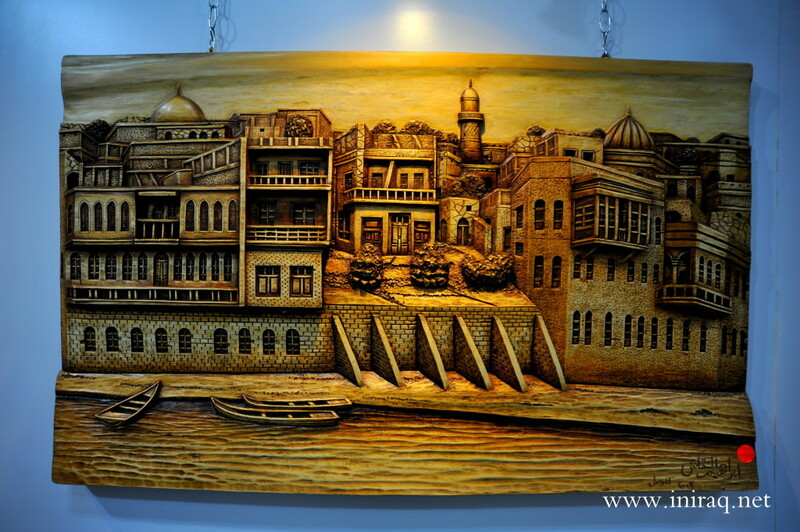 Oil painting, metal engraving, carving, embroidered pictures…Iraqi artists are master-hands in plastic arts. 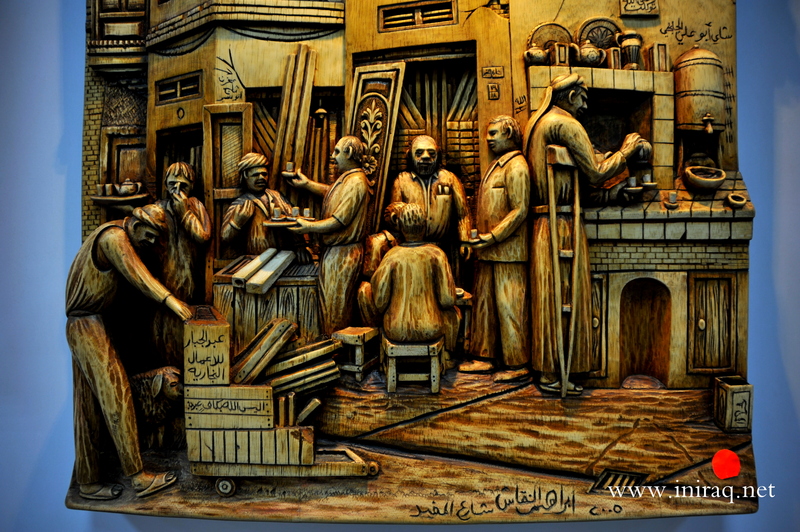 The subject-matter, the manner of their works are very authentic and with them you will really bring a piece of Iraq with you. 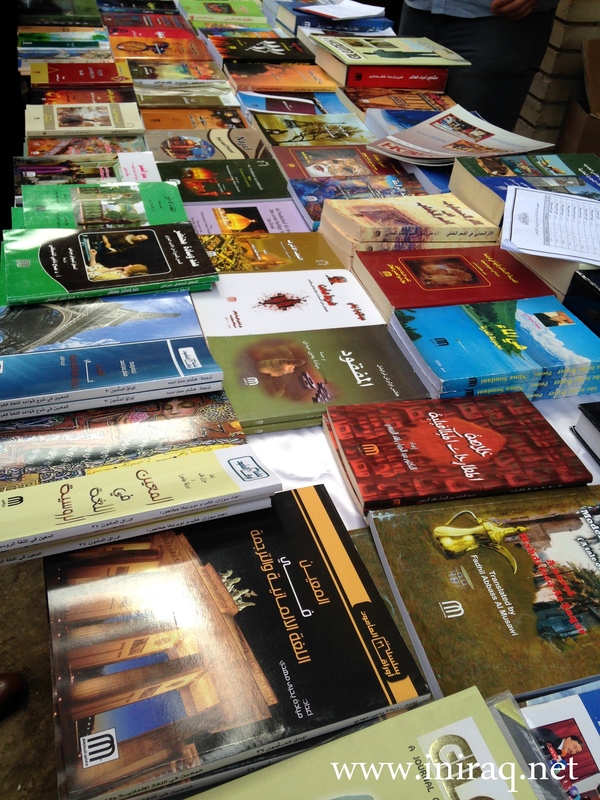 If you turned up ar Al-Mutanabbi street (books bazaar) you can find glossy publications devoted to artworks of Iraqis artists. So, if you are already turned up at Mutanabbi book stock, you have a great chance to buy very interesting publications a la «the stolen pictures of Baghdad’s museum», collection of picture such and such artist, Arabic calligraphy, Iraqi architecture and so on. Men here love a silver rings with big stones, and they wear it usually on annular or picky finger. So, according to supply and demand law we can expect that in a good assortment of man silver rings in Iraq. By the way, Arabs find that gold on the hand is harmful for man. Gold is harmful for men so women wear gold for both of them. There is real cult of gold. If you ask any woman why she need so many gold she will answer – for beauty and for saving money. And realy they spend all free money for gold and usual housewife wear on her everyday gold of cost around 5000-7000$. And at party they wear much more of their gold and weight of it corresponds to price of good car (around 20 00$ or more).Gold is the best gift and the best good to buy for iraqis women. 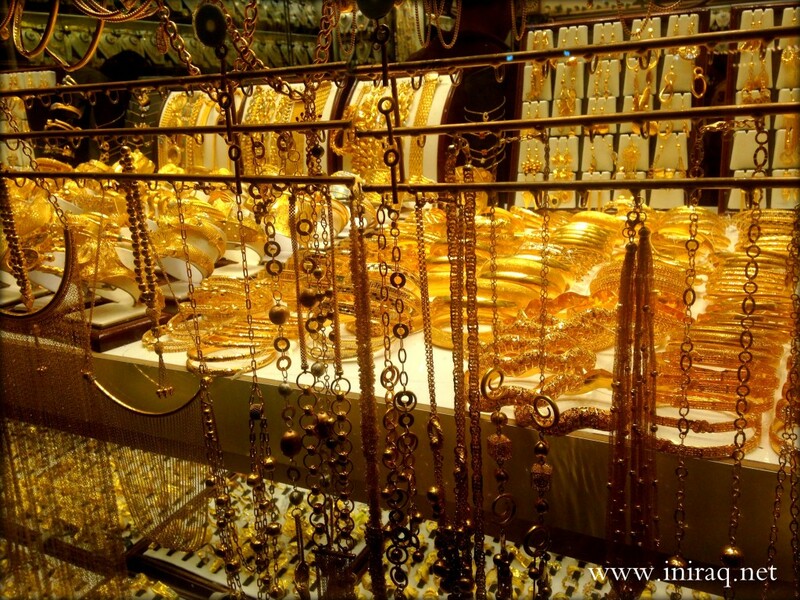 The gold are using for jewelry is almost solid, so the color of it is bright yellow and it is very non-rigid, so it could be rumpled. 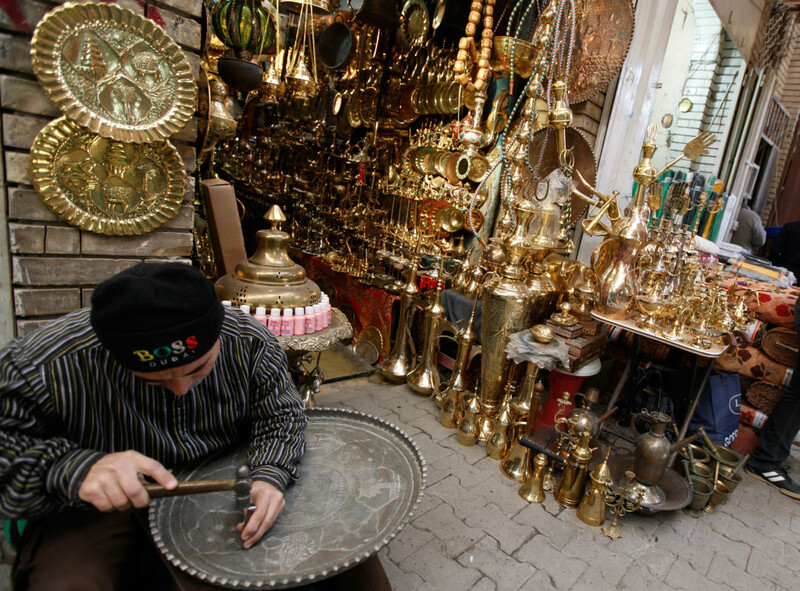 But Arabic gold jewelry design is something incredible!